Our only recommendation outside of town -- and it is a very good one -- is the Inle lake View Resort in Khaung Daing village. Ad Book now! Rates from US$93.51++. Average rating 8.9 from 121 reviews. While lakeside, the resort is built on dry land and has relatively easy land (or boat) access to Nyaung Shwe town. Furthermore, their eco efforts are concrete and genuine rather than a mere advertising ploy. The water recycling system and organic garden are initiatives that other resorts would do well to imitate. The French management is highly professional and local staff also very enthusiastic and friendly. The manager greets every guest in person on arrival and the guests we talked to – due to low rainy season occupancy – had all received room upgrades on arrival. Their plot is vast yet not too many chalets have been squeezed in, with care taken to ensure every room has at least a partial lake view. Lush and well maintained gardens fill in the gaps between chalets, and marshland with lotuses and birdlife stretch down to the water’s edge. The view from the cafe deck with infinity pool in the foreground is second to none in Inle. The location is just off the sealed road that leads past Khaung Daing from Nyaung Shwe, so local village tea shops and stores are accessible on foot. Otherwise a taxi to town by road or water will set you back 15,000 kyat. If you don’t go into Nyaung Shwe they will organise boats for you for a lake tour at a slightly higher rate than from the jetties but then if you can afford to stay here you probably won’t quibble over a few dollars. Rooms are in two-storey buildings with upper ones, and their slightly better views, costing a bit more, while there are also a few individual lakeside villas at higher rates again. All are impeccably turned out, with varnished wood finishings and wonderful balconies. Interiors are smart, clean, spacious and pleasantly decorated without being fussy and come with all the amenities you’d expect at this pricepoint. The various restaurant and cafe areas change with the season but are all very chic and the breakfasts are superb. The in-house restaurant combines local style with French flair and both Western and local food get great reviews. Set meals don’t come cheap (up to $30 a head), but then if you stayed a couple of nights you could perhaps splurge in the resort one evening and grab a cheapie in town the other. Our only slight concern is they may raise their rates for the 2016-2017 season -- rates quoted below are valid until September 2016. . Otherwise, if they stay around the same level, if we were going to splash out in Inle then this is definitely where we’d do it. 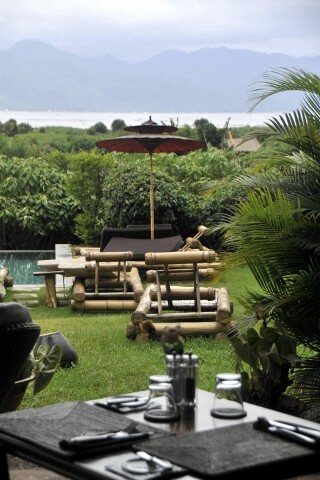 Check rates at Inle Lake View Resort on Booking.com. Lower floor. Upper floor $110. Room: Deluxe double room, low season: US$80, high season US$80. Notes: Downstairs. Upstairs: $90. Room: Suite, low season: US$100, high season US$100. Notes: Lower floor. Upper floor $110.